Beaufort had three TAC Demos which is almost unheard of in these budget constraint times. I consider myself very fortunate to have seen that many at one show. 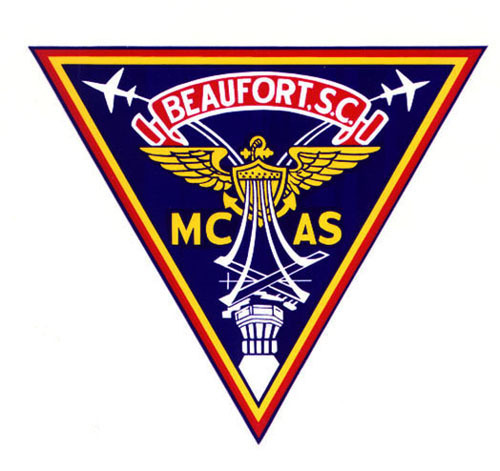 First to perform was the F-35B Lightning II from VMFAT-501 Warlords whose home base is MCAS Beaufort. As a “schoolhouse” unit they train pilots to fly the F-35B. Second was the F-16CJ (Block 50) from the 20FW, Shaw AFB, Sumter, SC who fly Wild Weasel missions. And third to perform was the AV-8B Harrier from VMA-542 Tigers stationed at MCAS Cherry Point, NC. Their mission is to fly close air support for the Marine ground forces. Each demo was awesome in its own right. Having seen the Viper and Harrier demos multiple times previously (and they never get old…..to me), it was the F-35B demo I was looking forward to. It being the new kid on the block I was anxious to see what it looked and sounded like up close and personal. All I can say is it was AWESOME! The demo was everything I hoped for and more. Just watching that beast hover with all those doors opened and the engine nozzle articulated down was a sight and sound to behold. And to think, just a few minutes before the hover it was making passes in afterburner. Somehow after seeing the Harrier fly over the years I thought it quite unusual to see an aircraft that had afterburning capabilities be able to hover. A final note: After (I believe) a three year hiatus, it was so good to see a Viper Demo Team stand back up where they could perform a full demo, not just Heritage Flights.